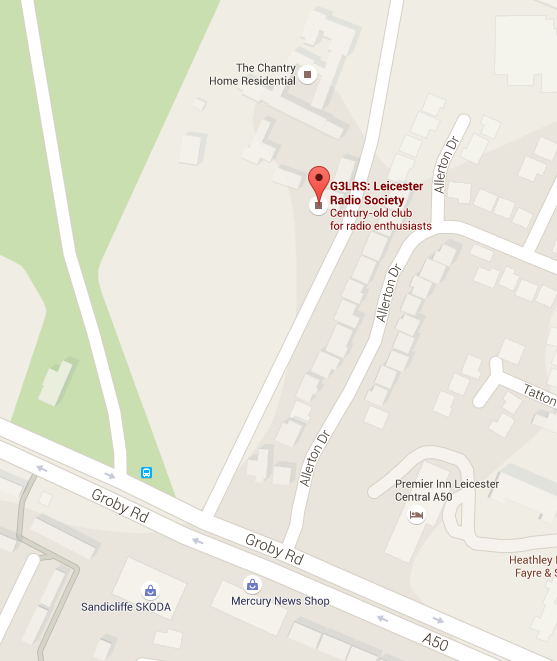 We are conveniently located off Groby Road (A50) which is one of the main routes into the city of Leicester. The access road has a sign saying "Chantry" and is only accessible for those heading into the City of Leicester on Groby Road. The access road is is indicated by a small sign "Chantry" but it is directly opposite the Skoda garage and immediately after the main entrance for Gilroes Cemetery. Meetings start at 7pm on Monday evenings and usually finish around 10pm.